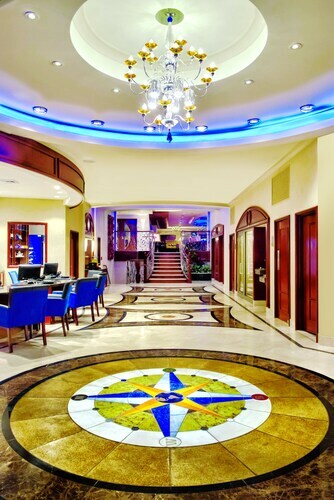 This Westbury hotel is situated near the metro station. Nassau Veterans Memorial Coliseum is an area attraction. Nestled on the beach, this Montauk resort is within 6 mi (10 km) of Shadmoor State Park, Montauk County Park, and Montauk Marine Basin. Camp Hero State Park and Montauk Point Lighthouse are also within 9 mi (15 km). 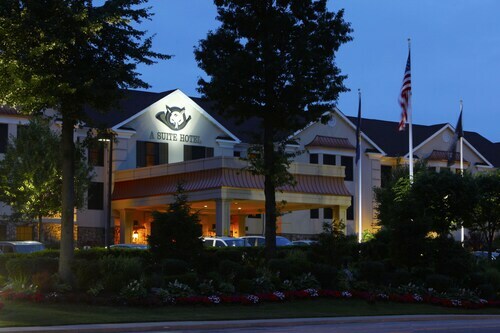 Located in the heart of Wading River, this spa hotel is within 3 mi (5 km) of Grumman Memorial Park, Calverton National Cemetery, and Wildwood State Park. Splish Splash Water Park and Baiting Hollow Farm Vineyard are also within 6 mi (10 km). 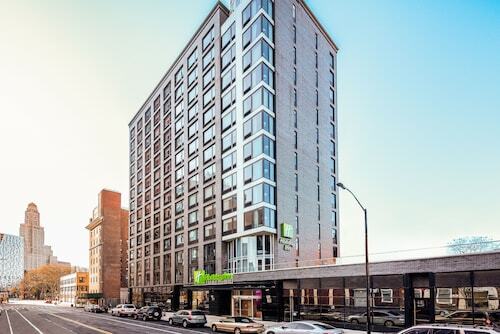 Located in Boerum Hill, this hotel is within 2 mi (3 km) of Barclays Center Brooklyn, Prospect Park, and Brooklyn Bridge Park. Brooklyn Bridge and Brooklyn Heights Promenade are also within 2 mi (3 km). Hoyt - Schermerhorn Sts. Station and Nevins St. Station are within a 5-minute walk. 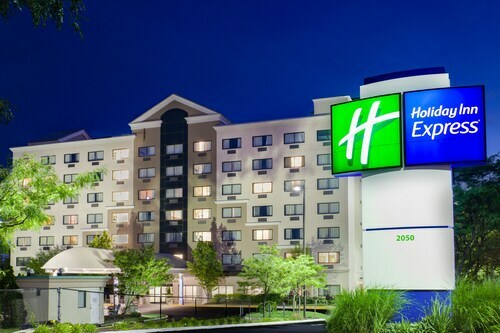 With close proximity to both JFK International and LaGuardia airports and the Long Island Railroad directly across the street, guests can enjoy all Long Island and New York have to offer from this suburban retreat. Nestled on the beach, this Montauk hotel is within 2 mi (3 km) of Montauk Marine Basin, Montauk Downs State Park Golf Course, and Montauk Downs State Park. Fort Pond Bay Beach and Ditch Plains Beach are also within 3 mi (5 km). 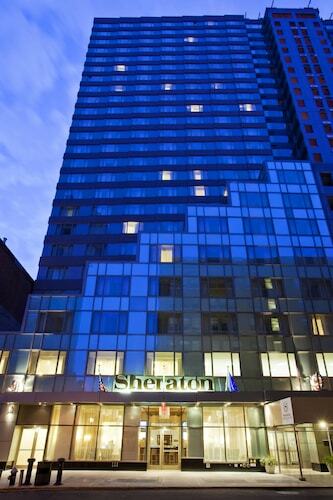 Situated in the city center, this hotel is close to Brooklyn Academy of Music, Brooklyn Bridge, and Ellis Island. Area attractions also include Federal Reserve Bank of New York and New York Stock Exchange. 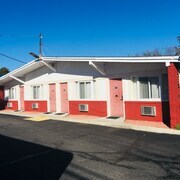 Situated near the airport, this hotel is 1.7 mi (2.8 km) from Bohemia Historical Society Museum and within 6 mi (10 km) of Lake Ronkonkoma and Lakeland County Park. Connetquot River State Park and Patchogue Theatre for the Performing Arts are also within 6 mi (10 km). 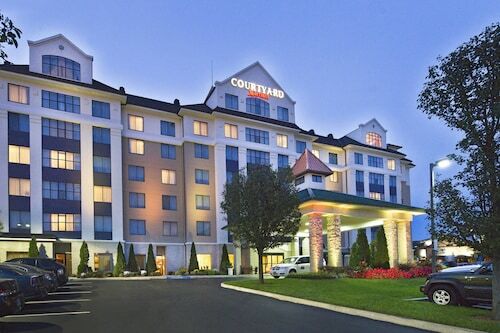 Situated near the airport, this hotel is 6.3 mi (10.1 km) from Patchogue Theatre for the Performing Arts and 8.8 mi (14.1 km) from Stonebridge Golf Links and Country Club. Long Island Game Farm and Adventureland are also within 25 mi (40 km). Ronkonkoma Station is 12 minutes by foot. 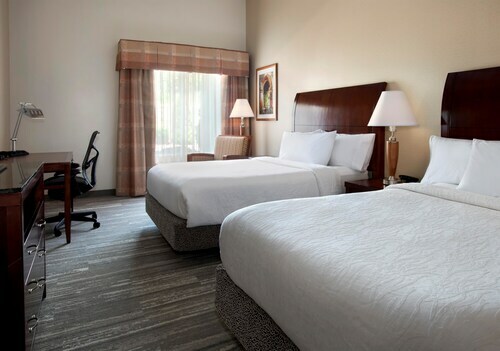 This family-friendly Riverhead hotel is located in the suburbs, within a 15-minute walk of Tanger Outlet Center and Riverhead Raceway. Splish Splash Water Park is 1.6 mi (2.6 km) away. 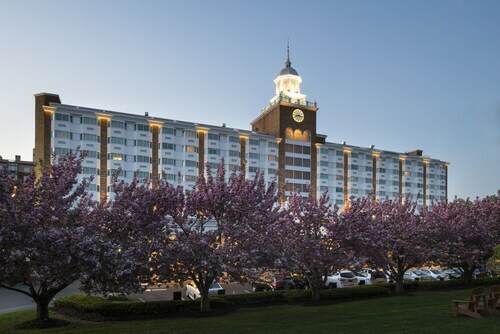 Located in the heart of Woodbury, this golf hotel is within 9 mi (15 km) of Paramount Theater, The Space at Westbury, and Adventureland. Farmingdale State College and Old Westbury Gardens are also within 9 mi (15 km). Are you looking for a break from the hustle and bustle of your day-to-day life? Do you want to escape reality and forget about your never ending to-do list? Then why not treat yourself to a relaxing stay at one of the spa hotels in Long Island? Whether it is for a weekend getaway or a staycation, book your visit to one of the Long Island luxury spa hotels. With all of the amazing things to do around Long Island, you will likely be worn out from sightseeing. 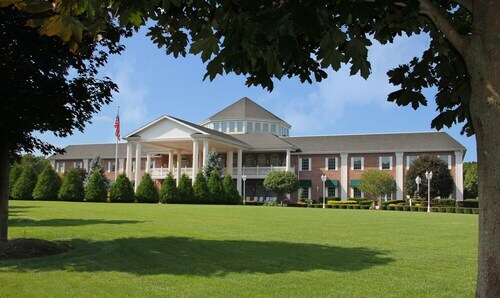 The Long Island spa hotels provide top of the line facilities with hot-tubs, saunas and private treatment rooms. Treat yourself to an indulgent hot stone massage or facial to rejuvenate from a busy day. If that's not enough for you, indulge in a full day-at-the-spa package. And maybe you are just looking to reach maximum relaxation before a fancy night out on the town. 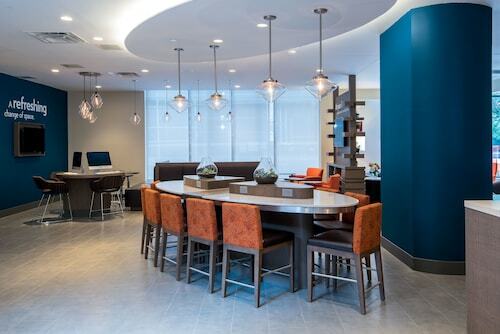 Take advantage of the salon features offered at most Long Island spa hotels and get a mani-pedi before your evening begins. Travelocity wants to help you relax and rejuvenate during your next stay in Long Island, but we know that spa treatments can put some strain on your wallet. Bundle your hotel and flight together and save enough to pay for your facial! Renovations being done now. A little inconvenient . Convenient, friendly, good food and a nice place. The only downside is they said I could not get IHG points because I used travelicity. 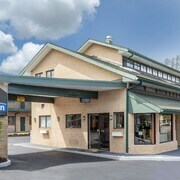 Nice hotel close to food and the airport. Staff is friendly and helpful. Very comfortable bed. Great breakfast. Enjoyed my stay.